Why Should I Do My Yoga Teacher Training in Rishikesh? 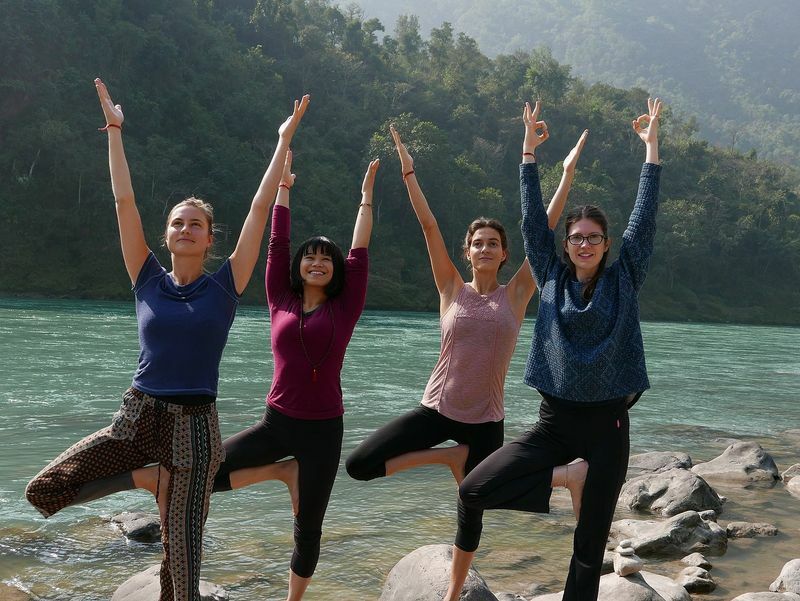 At the foothills of the Garhwal Himalayas and on the riverbank of the holy Ganges, Rishikesh is home to the very best programs for yoga teacher training in India. 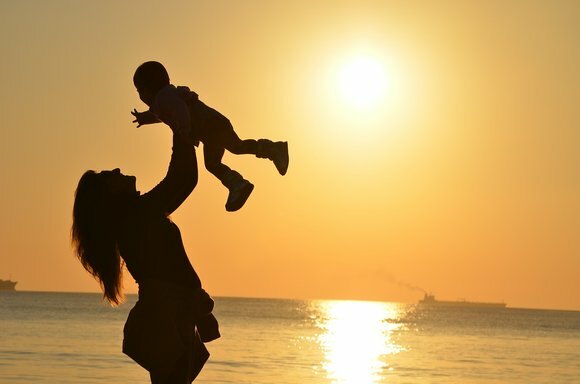 Our beloved practice was born here and everything seems to be related to spirituality and wellness. 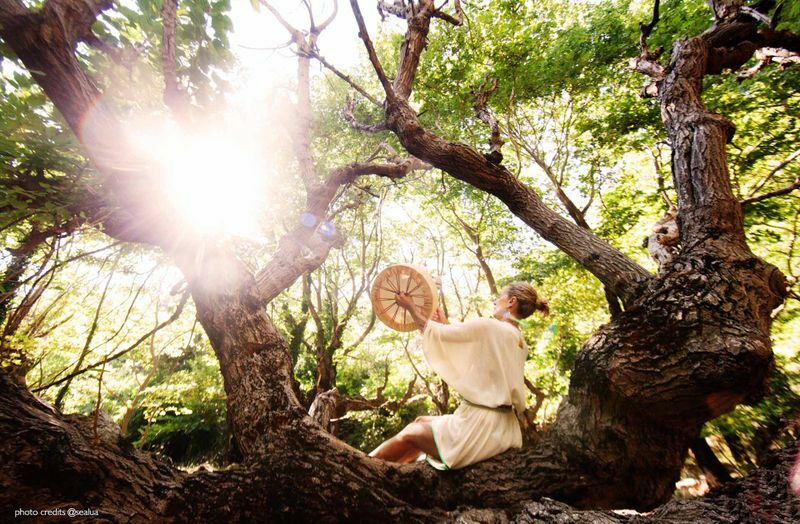 From Ayurvedic healing to meditation retreats and ashrams, you can breathe all aspects of yoga in every corner of this ancient town. A yoga teacher training in Rishikesh is different than everything you’ll find in other cities like Kerala, Goa or anywhere else across the globe. Here, you’ll not only be guided by experienced gurus to become an instructor, but you’ll also be encouraged to take this knowledge well beyond the mat. You’ll immerse in the true essence of yoga and be able to transmit it to your students. Your understanding of yoga won’t stop with the asanas, you actually live the yoga philosophy and all its 8 limbs. This means that nonviolence, truthfulness, contentment, cleanliness, austerity and many other principles become part of your practice. Due to the sattvic diet that most yogis follow here, Rishikesh is a food odyssey for vegans and vegetarians. Outside restaurants and eateries, you’ll find a “veg”, “non-veg” or “pure veg” sign for you to know what to expect on the menu. This city is the perfect place to taste all the flavors of the delicious Indian cuisine without having to worry whether it contains meat. Now, if you’re someone who’s really used to eating a good steak for dinner, you better prepare yourself for a few weeks without it. Most schools also offer a vegetarian diet and there aren’t many places to get meat in the city. And there isn’t easy access to alcoholic beverages either. Make an effort! This is a great opportunity to embrace the full yogic experience. 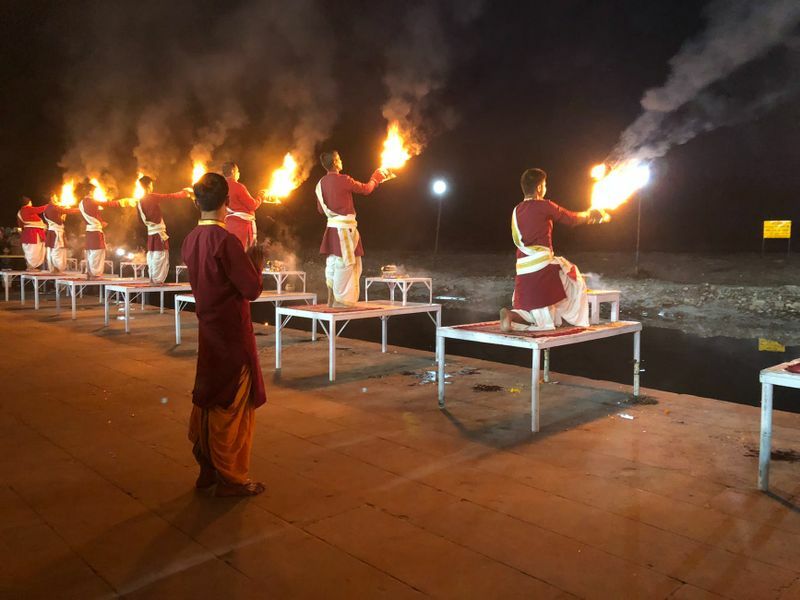 Every evening, the Ganga Aarti is performed on the riverbank at Parmarth Niketan ashram. Rishikesh happens to be one of the three sites in India where it is held (Haridwar and Varanasi are the other two). So, this is a great opportunity to see a traditional ritual with plenty of spiritual significance. It consists of an offering to the Goddess Ganga where lamps are lit accompanied by prayers and the singing of bhajans. If you decide to attend, arrive early to grab a good place. It takes place every day, rain or shine. And while you’re near the Ganges, you might be tempted to bathe in its holy waters. It’s true that it isn’t quite safe due to the pollution all over the river, but the area in Rishikesh hasn’t been affected by it. So, if you want to wash away your sins or just cross it off your bucket list, Rishikesh is the safest place to take the plunge. A Satsang is another spiritual event that could be enticing for all yogis. In February and March, students come to Rishikesh to meet with their gurus, who give lectures, share their wisdom and answer any questions the attendees ask. Lastly, to have a complete cultural experience, you can attend a puja. It is a religious ritual offered to one or several deities. Pujas can be as lengthy and as simple as the person who’s performing it wants. Normally, people stand alongside the river for about an hour while holding incense, candles or holy water; they move such objects in the air in a circular motion while praying and chanting. There are plenty of Registered Yoga Schools (RYS) at the Yoga Alliance in Rishikesh. If you’re interested in becoming a Registered Yoga Teacher (RYT), make sure you sign up for a program with the “RYS” trademark. If the school isn’t registered at the Yoga Alliance, you can still have the Certified Yoga Teacher (CYT) designation. A few studios ask for the RYT, but in both cases you can start teaching right away. That said, coming to Rishikesh for a yoga teacher training doesn’t necessarily mean that you have to start a new career once you go back home. Your intention could be to just deepen your practice, understand the philosophy better and start living the true yogic lifestyle. Or maybe you’re already a yoga teacher who wants to prepare better classes and add new knowledge to each session. 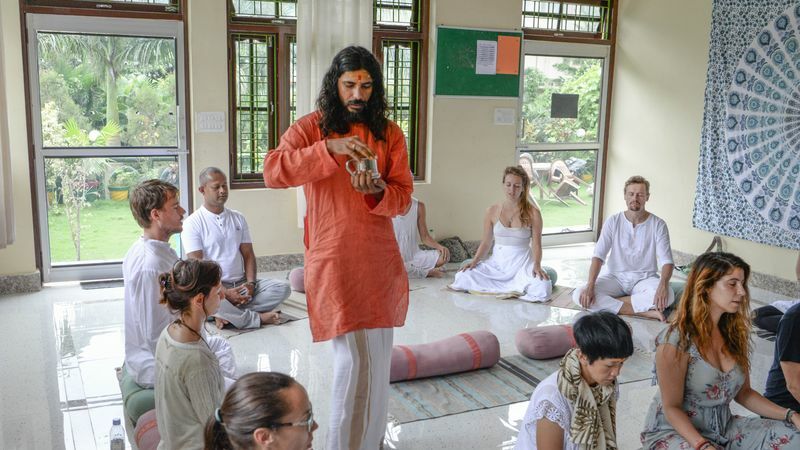 Rishikesh offers an abundance of options for whatever it is you’d like to gain out of your practice. This ranges from an introductory 200-hour yoga teacher training to a more comprehensive 500-hour course that’ll push your yoga to the limits. If you don’t have a certification yet, the recommendation is to go for the 200-hour course. This way you get ready to teach yoga without an excessive number of hours on the mat. Once you get your first certification, you can aim for the 300 or 500-hour programs. Whichever you choose, another advantage is that it’s more affordable than most courses in the USA or Europe. 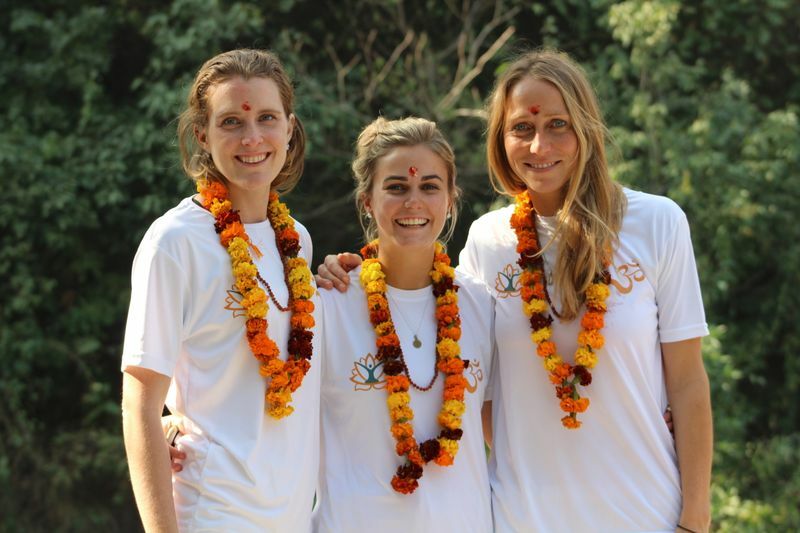 So, you’d be getting a more holistic training, in the birthplace of yoga, at a lower cost, while you get to know another culture… That’s the Rishikesh dream – and it’s real! Rishikesh’s approach to the yoga practice, and life in general, comes with a few things that might take you by surprise during your stay. As long as you manage your expectations, you should be able to enjoy your training thoroughly. For example, don’t expect the luxurious accommodation and amenities that some programs in the West have us accustomed to. 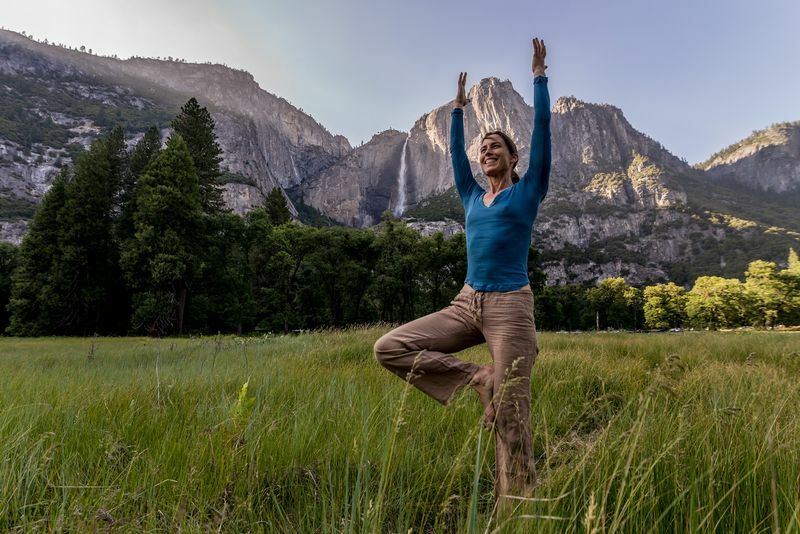 The ashrams here are rather simple, and while you’ll get all basics covered, the main focus of your training is to deepen your yoga and nourish your spirituality. Keep in mind that the inherent spirituality of Rishikesh requires a high level of respect for cultural differences. Keep an open mind and conduct yourself properly, especially if you attend a religious ceremony where you’ll have to dress conservatively. Lastly, keep an eye on false advertising and scams. Be sure to read customer reviews before you make a reservation. If a yoga retreat becomes popular, a number of other ashrams with the same name will quickly pop up nearby. You may innocently ask to be taken to the “Yoga Lodge by the Ganga”, for instance, and end up at the fourth or fifth version of this venue. Always ask for the original version of anywhere you plan to visit, keep open communication with the organizer of the program and make sure you know the exact location. 1. Bring your yoga mat. Let’s say that the yoga mats that you’ll find in the ashrams have seen better times. If you want to feel more comfortable, bring your own mat or buy one in the city. 2. Don’t bring those leggings or tight t-shirts that look so good on you. Remember that this is a conservative culture. Bring loose clothing or buy your outfits once you get here. 3. Bring rupees. It’s not as easy to find a place that takes cards and there aren’t many currency exchange booths. Exchange your money at home and avoid the ATM fee. 4. Don’t lose your time looking for the right ashram in Rishikesh city center. From there, you’ll most likely go 2 km north to the eastern bank where the “spiritual center” is located. 5. Pack some medicine. Whether it’s prescription or over the counter drugs, it’s always better to be safe and bring them along. For example, it’s possible that your stomach isn’t used to Indian (spicy) food and it could be hard to find the medication you’ll need in Rishikesh. Have you decided to become a yoga instructor in Rishikesh? Get ready for an enlightening and fascinating journey; it’s going to be challenging, but no other place on Earth can replicate the magic of the yoga capital of the world! Looking for a more laidback experience? 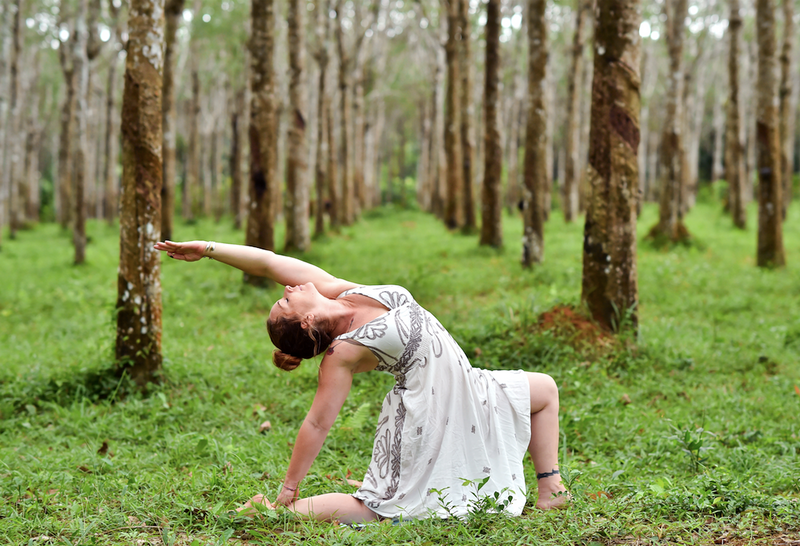 Go on a shorter yoga retreat in Rishikesh where you won’t have to spend as many hours of practice!